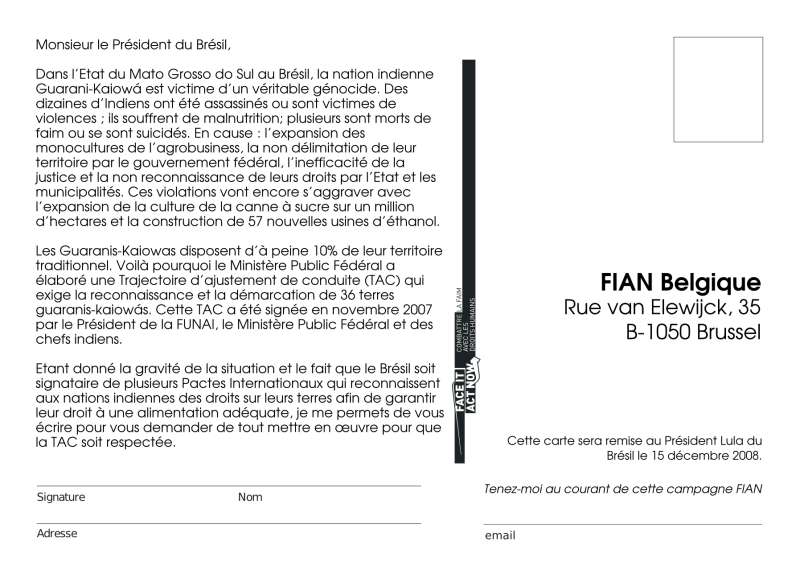 FIAN (Foodfirst Information & Action Network) is an international human rights not-for-profit organization that advocates for the realization of the right to food. 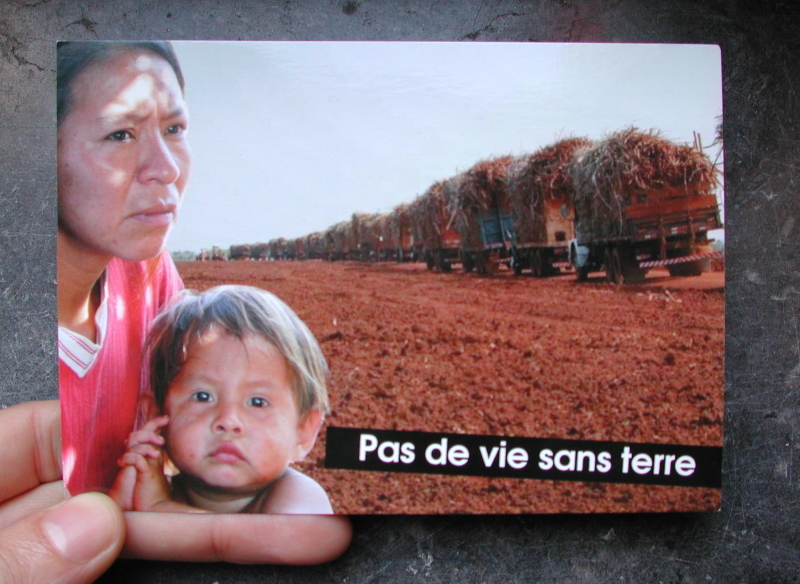 Their latest campaign exposes the oppression of the Guarani-Kaiowá indigens in Brazil. On the backside of the card is a letter to President Lula. Under the human right to food Brazil is duty-bound to provide adequate food and access to resources for the Guarani to feed themselves. Signed cards will be handed over to Président Lula on the 15 December 2008.